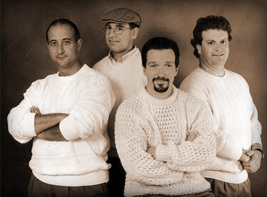 From left to right: Seamus, Anthony, Vincent, and Bobby Malarkey. The boys landed on the Philadelphia scene in 1986. 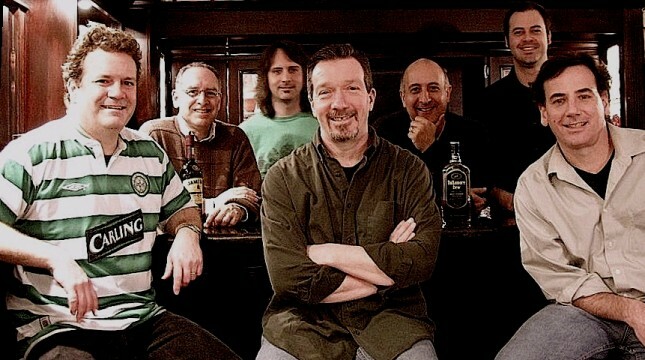 A long history performing in the area’s Irish pubs and their popular music CD’s have gained a loyal fan base near and far. Seamus Malarkey (Vocals, Guitar, Tin Whistle, Saxophone, Spoons): Versatility, talent, and a sharp Irish wit. Seamus brings humor, showmanship, and a vast array of instruments to every gig. Anthony Malarkey (Drums): Simply the best drummer in the business. Anthony is our Irish beat. As an added bonus, Anthony gets to view the best side of Seamus at every gig. Vincent Malarkey (Vocals, Acoustic Bass, Guitar): Our very own Irish tenor. Vincent combines his velvety vocals with a real talent on the big standup bass and guitar. Bobby Malarkey (Vocals, Piano, Accordion, Keys): A powerful voice and the man with all of the keys. On accordion, Bobby is now able to move from behind that piano to show his many dance moves. Over the years, the band’s sound has matured featuring guest musicians who join the band during live performances and play on music CD’s. This includes cousins Dave Malarkey (Fiddle), Mike Malarkey (Mandolin), and Rich Malarkey (Electric Bass).